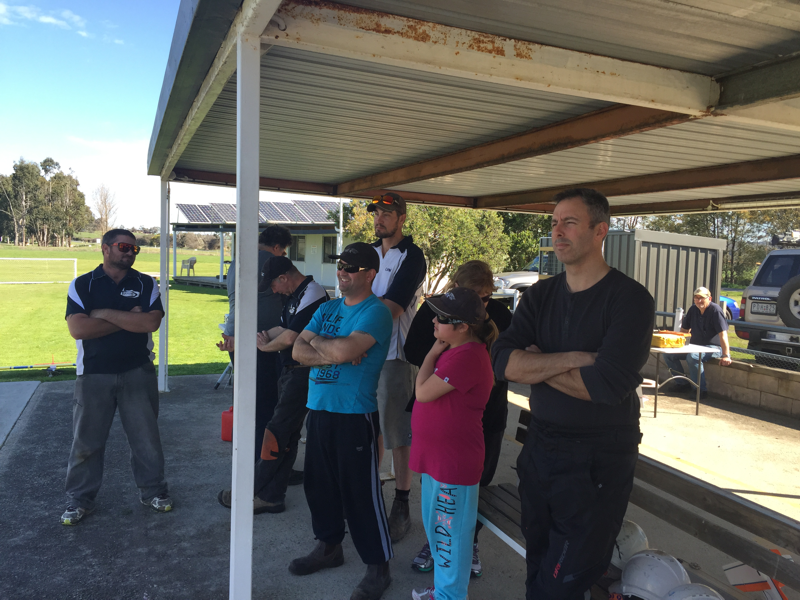 Crib Point – Sports 40 (Scanner Racing) & Q500 Event. The VMPRA was back at Bazza’s Munro pylon field for the last of the F3D Team trials as well as the usual F400 and Q500 classes. At the end of the Saturday, the F3D class had completed 8 rounds on the FAI (10 lap) course. The final results for the F3D 2017 WC team was as pictured below: Daniel Arapakis (Junior member), Beau Murphy, Leigh Hocken and Tyler Mees. After F3D had finished, 4 rounds of F400 were raced before it became too late to continue. Unfortunately weather conditions on the Sunday again prevented any further racing for the weekend meaning that F400 only flew the 4 rounds from Saturday afternoon and there was no Q500 flown at all. Leigh Hocken has remained in top spot, Beau Murphy has jumped up from 5th to 2nd position and Daniel Arapakis moved up from 4th to 3rd position. Gary Davidson has moved up from 3rd to 1st position displacing Andrew Davies and Jim Orenshaw who are now in 2nd and 3rd position respectively. These positions will hopefully be formalized at a future event. I’d like to thank the new (acting) committee for volunteering to perform these vital tasks for the successfully running of the VMPRA and trust that we will all support them in their efforts. As most of you will know we had to cancel the November event due to adverse weather conditions. Therefore, the next event will be again at Munro on December 3-4 which will also be the last event for the calander year. Hopefully the weather will be kinder to us and lets make this a good one. Unfortunately, the race event planned for this weekend has now been cancelled due to predicted poor weather forecast for Warrnambool on Saturday & Sunday. This decision has been made in consultation with the VMPRA committee and the Warrnambool Club. 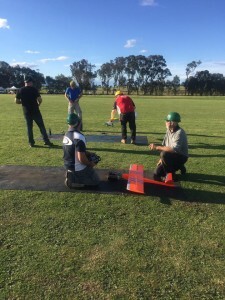 The second F3D team trial for next years World Championships to be held in Sweden, saw competitors arrive on the Friday from South Australia, New South Wales and regional Victoria. Baz Murphy’s much loved Munro field, a purpose built, immaculately presented and maintained pylon racing facility, was set for a show down. 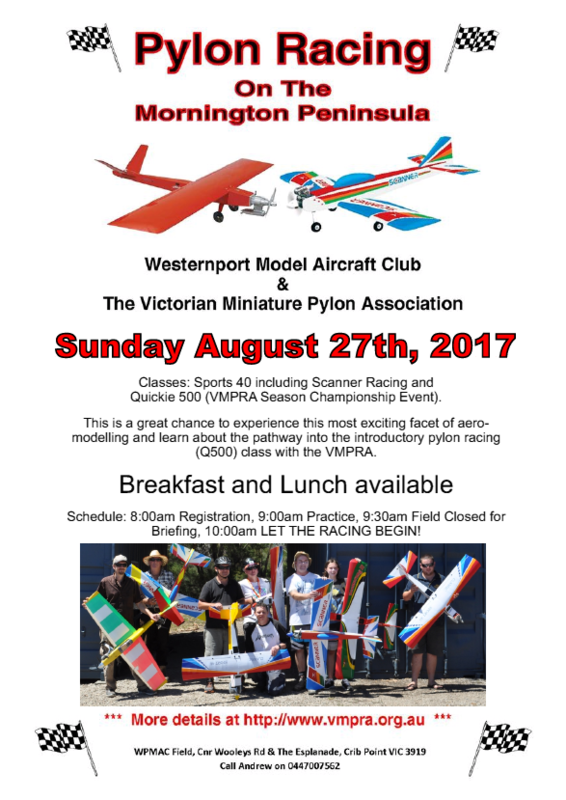 This the pinnacle of the highest speed, pilot and plane combinations all with the passion for precision racing would test the very best to achieve their rightful place on the Aussie F3D team. Results over the past few months have been chequered and pilot placings in probably one of the hardest teams in the world to get onto would be up for grabs this weekend. As per the past few race meets at Munro, the weather Gods rolled up for Saturdays racing in East Gippsland. 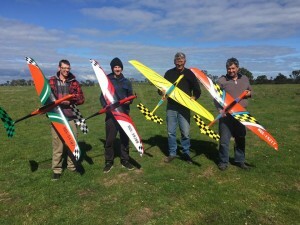 With 10 F3D pilots competing in Victoria’s State Championships. 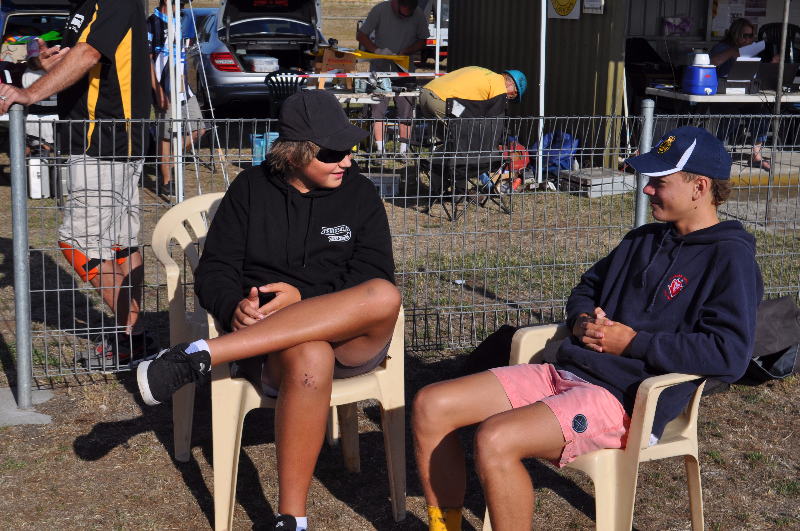 The heat 1 draw was for the Minute Master Munro team and great mates Beau Murphy and Dannmann (Daniel Arapakis). Round after round, the fluro red and bright orange wings battled it out to get clean air….Dannmann with his place already set as the Aussie Junior, was free to give every round his very best against his trusted mentor Beau. Beau as conservative as possible, flew famously well as usual and averaged an event time placing him on the Aussie Team with 2 times recorded now after 2 team trials. The awesome duo of Beau and his long time mate Leigh Hocken who also has two times in with a great performance in QLD a few weeks back, have their places squared away on the Aussie Team for the next year World Champs. Just as impressive as the first day us southerners met the Jacobsens’ from SA, Shauny mixed with the best in his usual perfect style that will prove out his competitiveness and future success. 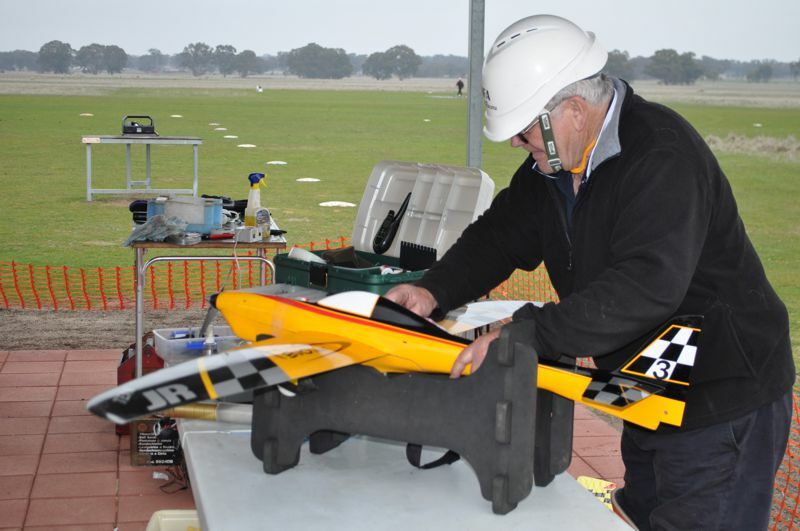 With only a hand full of F3D races under his belt, Shaun flew his PB of 59.28 seconds and while carrying a cut, Shaun averaged a 61.1 seconds to place him in a very good position for the 3rd team senior member on the Aussie Team. Great to see Tom Jacobsen, the “Great Dane” larger than life, flying well with plenty of smiles. Leigh Hocken had pace as always but carried a 200 finishing in 4th and 5th respectively. Great to see Ranjit Phelan with yet again another big drive down from outer Sydney to compete in his life passion of F3D racing. 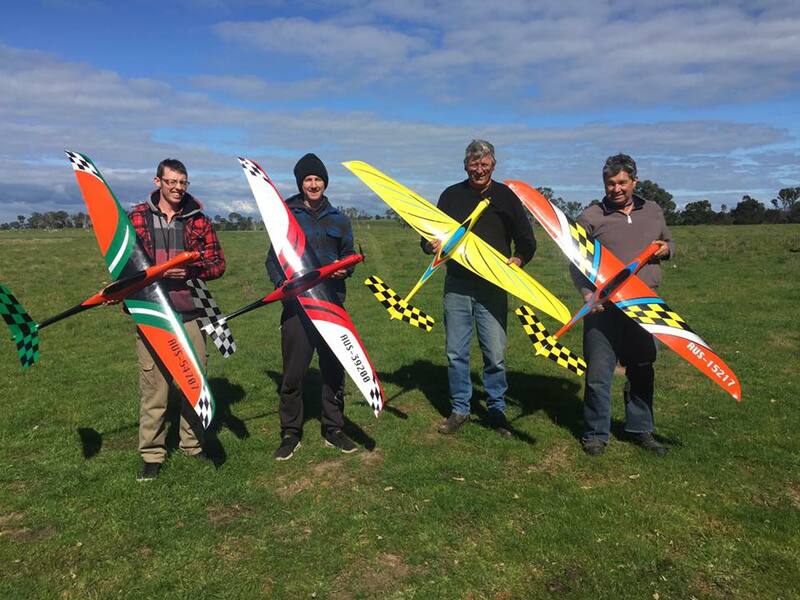 Frank Cassella and his family watching and supporting his high speed passion with the most highly polished racing red Voodoo also bringing along his ripper smile enjoyed the perfect conditions at Munro. Brian Steele and Andrew Davies, the two infamous beer monsters, had a tough event with a few too many DNF’s. Jarrod Jacobsen, Shauny’s number one caller and brother in his first time in an F3D event suffered an unfortunate technical problem resulting in wing folding in his first heat, will see him having another go in this very testing class of F3D! 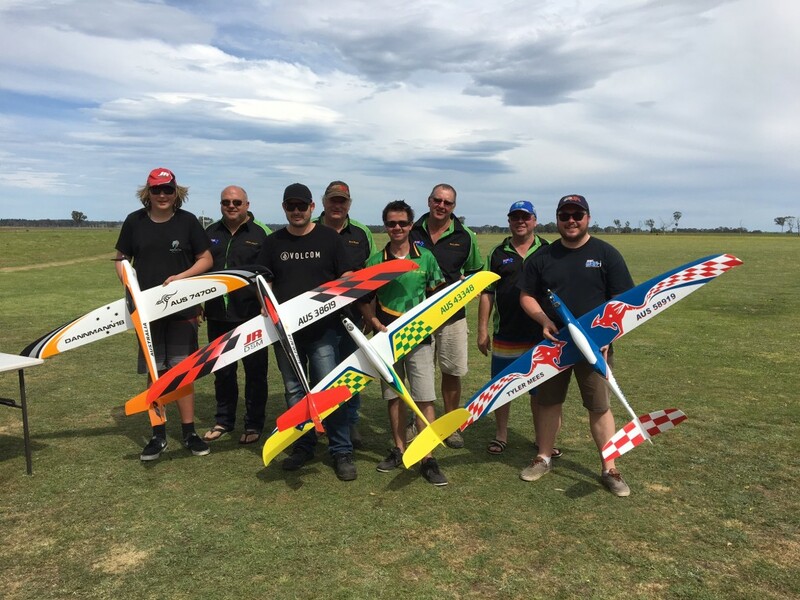 As F3D team trial selection takes priority, 8 rounds were flown on Saturday with Dannmann finishing in 1st place and recording the fastest time for the event and his PB of 57.21 seconds, Beau in 2nd place and Shaun taking out 3rd. Well done to all pilots and to a great F3D event and State Championships. With 7 pilots primed and full of adrenaline, pilots took to the perfect afternoon conditions racing for 3 rounds before sunset took over. Unfortunately no more rounds for this class were on the Sunday due to poor weather. Proving the fact out that consistency wins races, finishing any event with no cuts puts you in prime position. Jim Orenshaw who recorded the fastest time of the event with a 96.13 seconds, is always a great competitor. This time round, Lilydale Club President, Gary Whitbourn took out the podium with 1st place, closely followed by Ian Rickard, Munro’s very own grounds keeper in 2nd place and Alan Whitbourn in a very proud 3rd place which was a fantastic weekend racing result. All three trophy getters have put in the hard yards and have been finally rewarded with State Championship trophies – well done guys. With the unfortunate weather conditions closing in on Sunday, F400 was not raced and the State Championships Trophy for F400 will be competed for at the next event which will be run at Munro on October 15-16. Many thanks to all the pilots and helpers that turned up and participated and made the event one to remember. This was only the 2nd event for this Season Championship. Leigh Hocken has popped up into the top position, pushing Brian Steele and Andrew Davies down a position respectively. Jim Orenshaw has remained at the top and the father son team of Gary and Alan Whitbourns have popped up into 2nd & 3rd positions. As this was a team trial and racing on a 10 lap course rather than our usual 10.5 laps, fastest times for this weekend won’t be included. 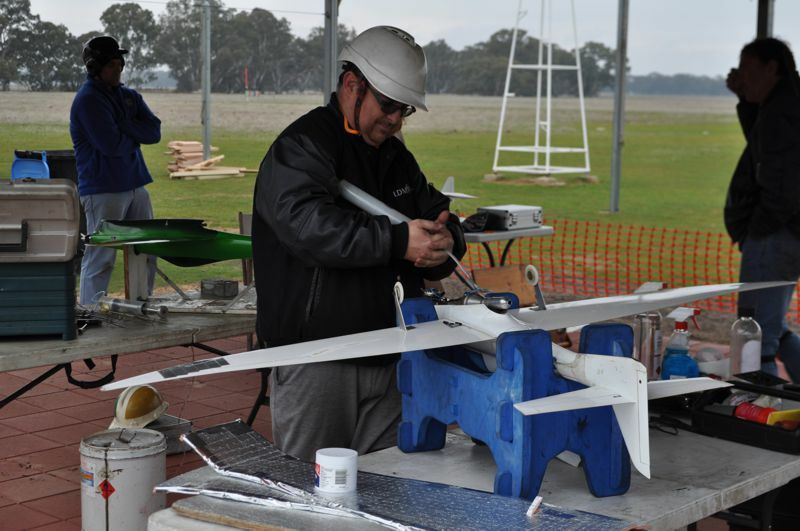 Back on September 13, a group of us headed to Lilydale (LDMFA) to compete in a Q500 and Sport racing day. We had a good turn out of regular participants but didn’t get any rookies and only a couple of non regular racers in Maddison Lang and Jarrod Tatham. Due to the space limitations at Lilydale, the course is shorter than usual so flying a Q500 is quite a bit more frantic than usual. The fastest time for the Q500 for the day was a 72.11, at least 20 seconds shorter than usual. The weather was great and we all had a great day. James Hurley also did a fabulous job of being contest director for the day. Thanks LDMFA. 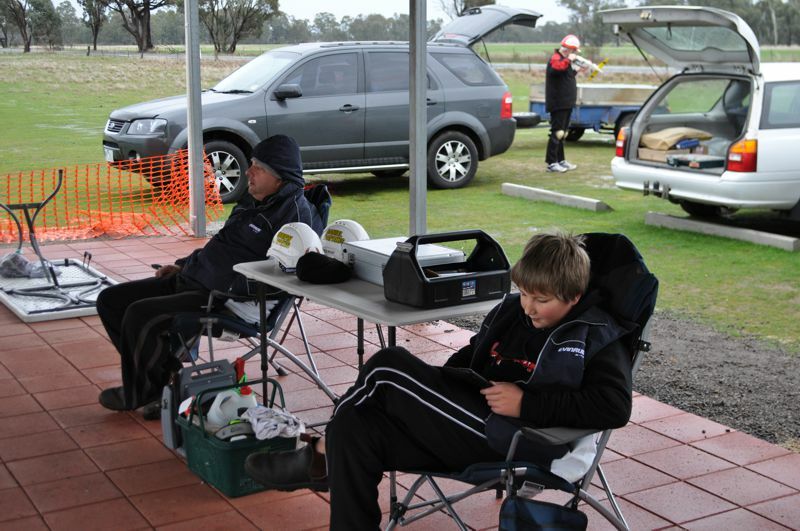 The next event is the VIC State Championships at Hamilton to be held on October 24-25, 2015. The written content in this post is accurate to the best of my/our knowledge at the time of publishing. It is written from my perspective and reflects how I have experienced this event. This will be a short report. I’ve been told to pretend that the weekend went off without a hitch but this was not quite the case. With already lower numbers than usual due to the many members that were in or on the way to Holland for the World Champs, the forecast of rain all weekend wasn’t very encouraging. The reality was that we only flew 5 rounds of F400 on Saturday morning and 1 round of FA1 on Saturday afternoon before rain stopped proceedings and that was it for the weekend. There was no Q500 flown at all. This meant that F400 was the only class that could be counted as a result. As a result of the washout, only F400 was awarded championship points with the exception of all entries for FA1 and Q500 being awarded 1 point each for entering. This was the first event for the 2013 – 2014 Championship Year. As I write this, all the Australian and New Zealand competitors are in transit to Holland. There are several ways of keeping in touch with what is happening. The last link is the VMPRA Twitter feed and can be view via the vmpra.org.au web site in the RHS column. The next event is at Cohuna on August 17-18 and we are racing FA1, F400 and Q500. We are racing at the Bendigo club at Marong on July 13-14. Andrew Davies has been in contact with the club and has confirmed that it is fine for those interested in camping at the field to do so. 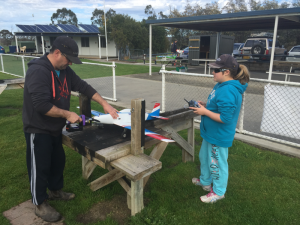 Campers need to contact Andy Thomas (Bendigo President – see http://www.brcac.asn.au) so he can advise where to setup and of any other requirements. It’s great that so many clubs allow us to do this. There is also camping nearby at the Marong caravan park. 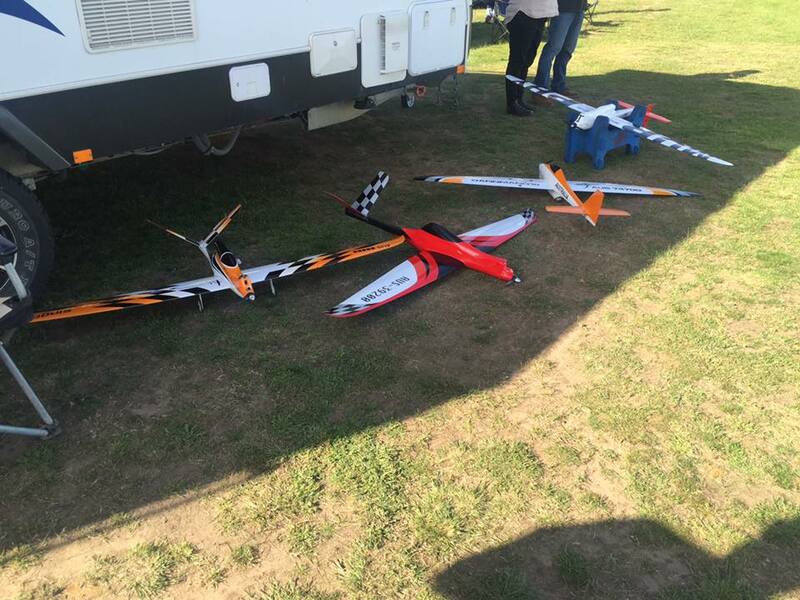 It was originally envisaged that we would hold our AGM at this event which has been the tradition but as there will be a significant group away at the F3D World Championships, we will hold it at a later date to be advised. 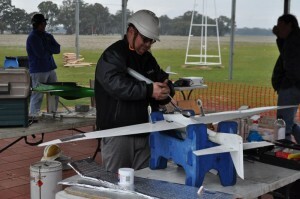 On the subject of the F3D World Championships which is to be held in the Netherlands between July 23 and 28, 2013. We wish our members who are travelling to Europe and participating in this great event, all the very best for the trip and the competition. Beau and Barry Murphy and Ranjit Phelan and Rick Townsand are VMPRA members representing Australia. Matt Young is also representing us as a junior with the help of Bruce DeChastel as caller and supplier of models and engines. 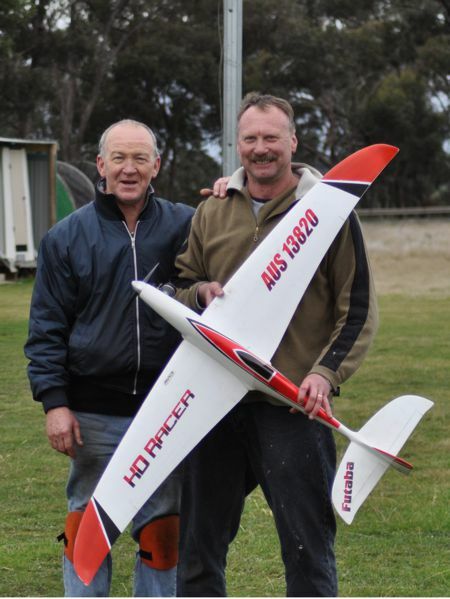 Team New Zealand is being represented by VMPRA members, Tom Wetherill and Jim Orenshaw. Toni and David Axon are also travelling to the Netherlands and I would imagine, will be involved in some way. I hope I haven’t missed anybody out. 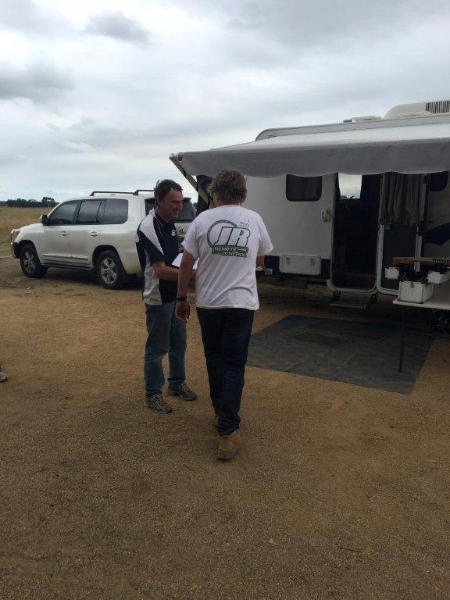 Also from Queensland, Chris and Kevin Callow and Tyler and Warren Mees are represnting Australia. We can’t wait to hear news of how you all go. I’ll try to post any information that becomes available during the Champs.